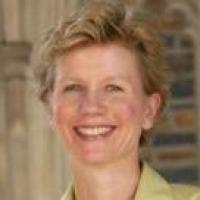 Kathleen J. Sikkema, Ph.D., Professor of Psychology and Neuroscience, Global Health, and Psychiatry and Behavioral Sciences at Duke University, is a clinical psychologist with emphases in health and community psychology. She is the Director of the Clinical Psychology Program at Duke, Director of Doctoral Studies at the Duke Global Health Institute (DGHI), Director of the Social and Behavioral Science Core in Duke's Center for AIDS Research (CFAR), and Director of the Global Mental Health Initiative at DGHI. Dr. Sikkema, an expert in randomized, controlled HIV prevention and mental health intervention trials, has been supported by the National Institutes of Health (NIH) for nearly 25 years. She conducts research on the development of HIV-related mental health interventions focused on traumatic stress and coping. Sikkema's intervention programs have been recognized by the CDC as "best evidence interventions" as well as the National Registry of Evidence-based Programs and Practices (NREPP). Dr. Sikkema's research is also focused on the development and evaluation of HIV risk behavior change interventions, with expertise in community-level intervention trials and university-community collaboration. She recently developed and evaluated a brief risk reduction intervention (PC: Positive Choices), in collaboration with the Callen Lorde Community Health Center, for those newly diagnosed with HIV, with implications for engagement in care and HIV prevention.